Author Tammy Stone focuses on a number of general deliberations on the archaeology of middle-range society and the prehistory of the American Southwest. This includes the complex dynamics of migration, identity, ethnic interaction, and the ability of archaeologists to identify these patterns in the archaeological record. The integration and ultimate expulsion of a group of Kayenta Anasazi at Point of Pines Pueblo in the Mogollon Highlands of east-central Arizona provides a case study and location where these themes played out. Stone uses a detailed architectural analysis of the pueblo to attain a nuanced and dynamic understanding of migration from the perspective of both the Kayenta migrants and their Mogollon hosts. 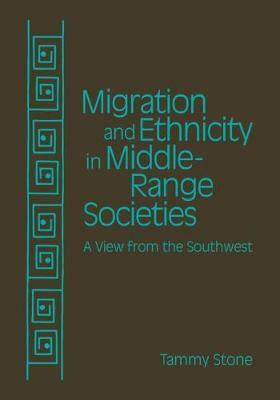 By examining the choices that individuals, families, and small groups made about identity and alliance from the perspective of both the migrants and host community-the latter being an aspect often missing from analyses of migration-this volume provides never-before-published data on Point of Pines Pueblo and contributes considerably to the study of community dynamics at large. "A significant contribution to the literature on Southwest prehistory that will also be of use to archaeologists working in other parts of the world where migrations occurred."